Our awesome physiotherapist, Corey Pritchett, has been helping the Golf Newfoundland Labrador -GNL Junior Development Team with their strength and conditioning! A practical, year round strength conditioning program geared toward golf provides clients/golfers with improvements in their muscular strength, flexibility, cardiovascular capacity, and in their power. It should be the golfer’s aim to avoid injury rather than deal with the pain-staking process of rehabilitating injury. 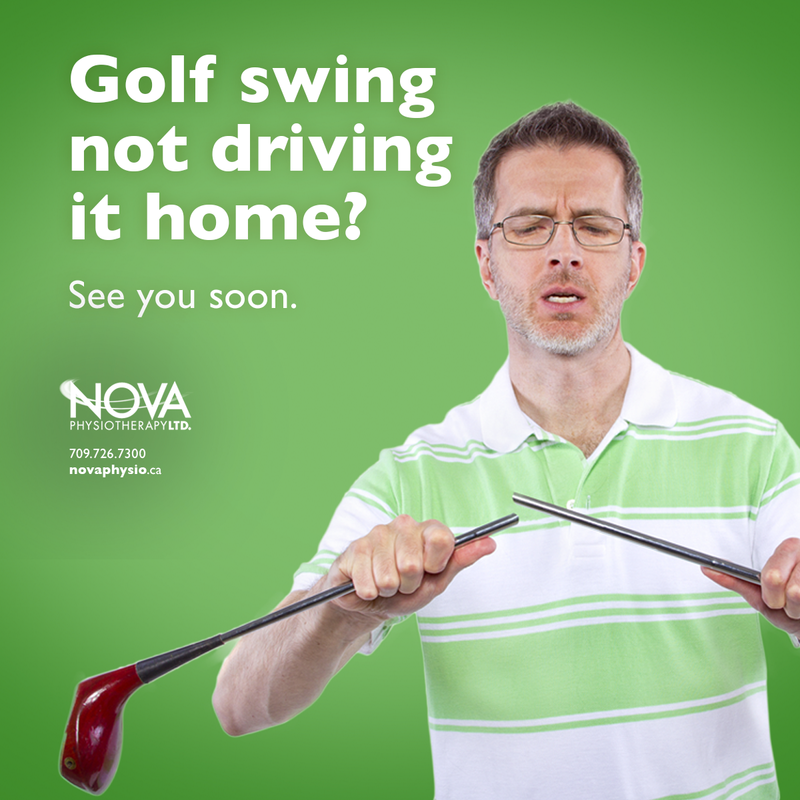 If your swing is struggling, or you're experiencing pain post game, physiotherapist Corey Pritchett can help. Our objective exam will include feet, knee, hip/spine position, shoulder, arm position, and grip. In addition, an evaluation of flexibility and strength. A videotaped analysis of the swing can be performed and a golf specific rehabilitation program can be implemented.